In this article we report an environment friendly synthesis of Ni-hesperidin nanocomposites (NiNC). The synthesized NiNC were characterized using analytical techniques like absorption spectroscopy, transmission electron microscopy (TEM), dynamic light scattering (DLS), zeta potential (ξ potential), infra red spectroscopy, powder X-ray diffractometry and Raman spectroscopy. 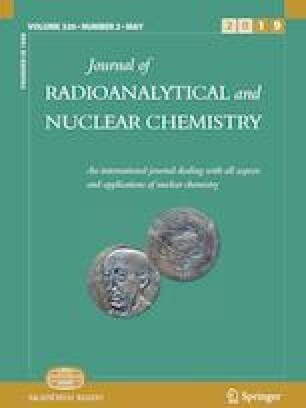 The same NiNC when synthesized in presence of γ-irradiation (gNiNC) showed selective spectral sensing of obnoxious sulfide anion amongst a set of 5 different sulfur based anions. The linear range of detection was found to be 7–85 μM. The mechanism of sensing was investigated using IR and Raman spectral analysis. One of the authors (ZA) express sincere thanks to CSIR (09/028(1022)/2018-EMR-I) for necessary funding. We thank Ms. Urmila Goswami, Centre for Research in Nanoscience and Nanotechnology, University of Calcutta, India, for obtaining TEM images. We would also express our sincere thanks to Ms. Aparna Datta, UGC-DAE Consortium for Scientific Research, Kolkata, for obtaining DLS and zeta potential data. We are thankful to Mr. Nayan Ranjan Saha, Department of Polymer Science and Technology, University of Calcutta, India for measuring the XRD.